With a new season upon us, many are busy sprucing up their homes for upcoming events, holidays, and even the possibility of putting their homes on the market. So how can you help sellers enhance or refresh their space and not break the bank? There are some simple ways to dress or fix up a home for fall with projects under $100. 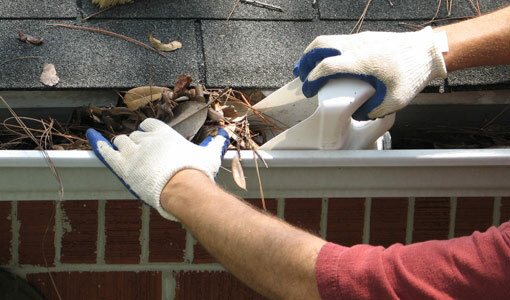 Pass along these tips that can increase curb appeal as well as home value. If your home has a mercury-switch thermostat, you are paying too much for heating and cooling. A programmable digital thermostat is far more accurate and can raise or lower the interior temperature throughout the day. Set it to raise the temperature before you arrive home and lower it when you are gone or sleeping. A wide variety of models under $100 are on the market today. 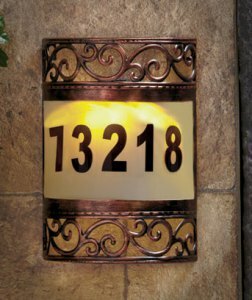 Install solar security lights to replace older porch or entry lights. Sensors detect movement and turn on a bright halogen light that illuminates a wide area. Several models are under $100. In the event of a power outage, your home will still have security lighting you can depend on. Purchase a washable HVAC filter and you will never have to look for filters again. A blast from the garden hose thoroughly cleans the filter. Allow them to dry in the sun and then they are ready to replace. Keep the system off while the filter is being cleaned to prevent debris from entering the system. A ceiling fan makes the room feel cooler or warmer, depending on the rotation of the blades. Install an Energy Star rated reversible fan with a lighting kit in each room and watch your utility bills fall. There are hundreds of designs, sizes, colors and models to choose from so no matter what your decorating theme is, there is a fan to match it. Small rooms and bathrooms look larger with mirrors mounted on the walls. Choose from a wide variety of styles to match or accent your home décor. Mirrors also reflect light and make a space lighter as well as appear roomier. Add a couple of accents in a bathroom or entry and your space is ready to show off to guests. Giving the front door a new coat of paint can work wonders for curb appeal. 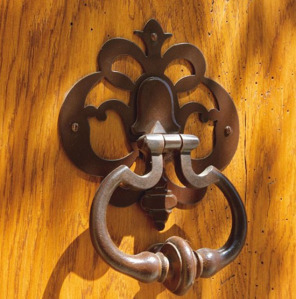 Check out new hardware such as a one-way security peep hole, new handles or perhaps a door knocker. In addition, install washable doormats in entry halls to prevent dirt from affecting flooring. Vinyl doormats can be washed in the sink and held in place with double stick tape to prevent falls. With just a few changes, your entry way can look inviting to all who may visit this season. Any of these fall projects will enhance the beauty of your home. Let the season inspire you to make some minor improvements with a large impact on your guests. This entry was posted in Buying and Selling and tagged home maintenance. Bookmark the permalink.